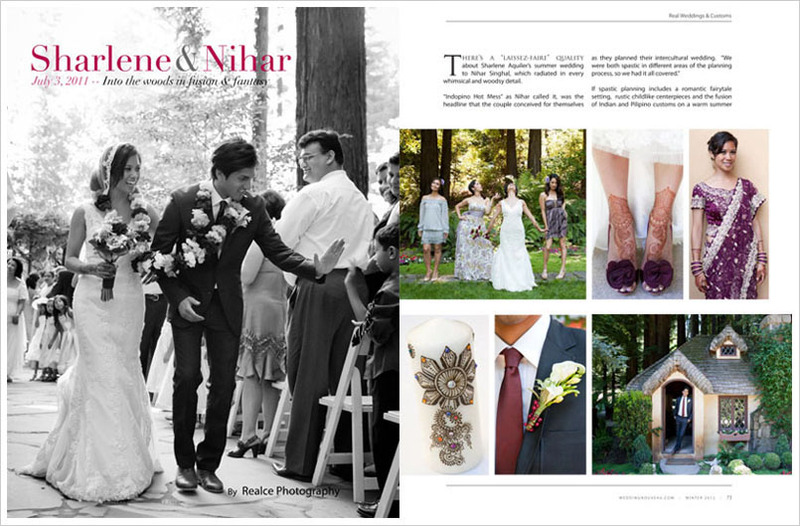 The editors at Wedding Nouveau flattered me when they saw Sharlene and Nihar’s wedding photos! I submitted them with hopes to be featured on their lovely blog. I received an enthusiastic e-mail asking to publish this wedding in their Winter 2012 issue instead! Sharlene and Nihar’s took their vows under a canopy of trees beside a pretty fountain pond. Their wedding was such a unique and special one, with Filipino, Indian, Roman Catholic and Hindu influences uniting this lovely couple. 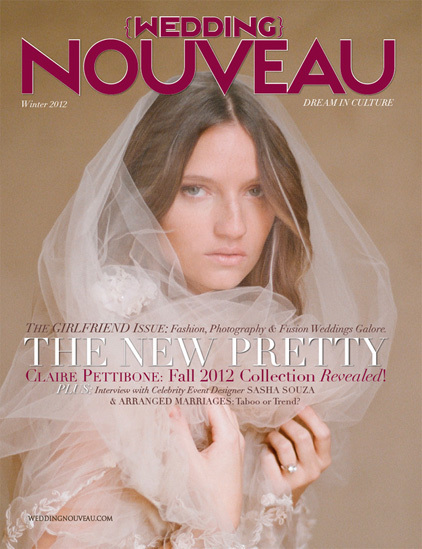 If you are a multi-cultural couple, check out Wedding Nouveau. They specialize in a niche market and they present wonderful ideas by culture plus real weddings that will inspire you! 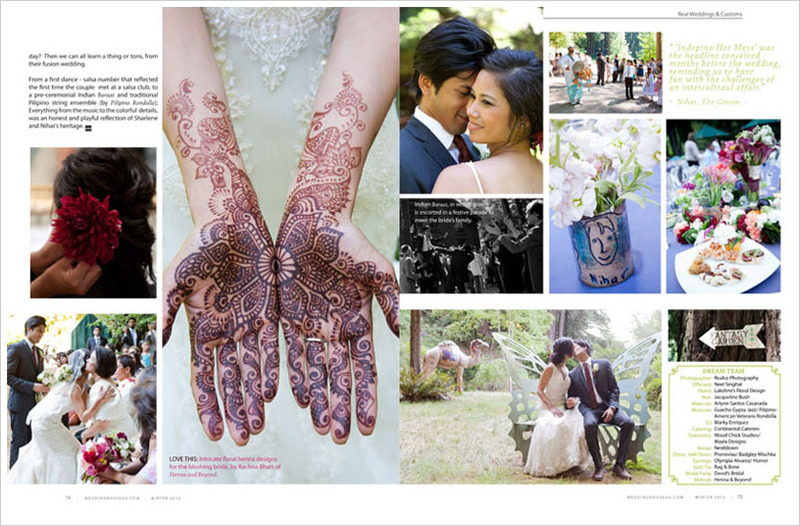 SPRING 2012 UPDATE: Sharlene and Nihar’s wedding was featured on the blog!